With less than one week until election day, it is time for an update! And no, I am not talking about Hillary's Chipotle order. Consider this post a "Guide to Kazakhstan's Political Structure and Culture". After all, before we can analyze an election, we should know the political system, local culture, party structure and rules. Granted, this is not exhaustive, and there are a lot of details regarding the politics leading up to the elections that will not be covered in this post. But let's just start with getting more familiar with the government structure and political climate. By law, Kazakhstan is a Presidential republic with a bicameral legislature. The President is the head of state and is elected through a popular vote. No electoral colleges here! Anyone can run for President so long as they are at least 40 years old, pass the Kazakh-language test and are a citizen of Kazakhstan by birth. But I'll get to the candidates in a bit. The current President is Nursultan Nazarbayev. There is a lot written about the President, and I'll leave that to you to Google. But please let me share some lesser-known facts. First, the President is a competent dombra player. Second, Nazarbayev is a trained metallurgist. During the Soviet Union, he spent one and a half years studying at the Dnieper Metallurgical Plant in Dneprodzerzhinsk, Central/Eastern Ukraine. In light of recent events, it is important to remember that more often than not, at high levels of diplomatic interaction, personalities and personal histories are very important and can make or break a deal. After all, remember that time when Obama brought President Medvedev out for a hamburger? Or when Putin and Bush took a spin in a 1956 Volga Limo? Personalities and personal histories count. And so, as we analyze recent events, let us not forget that the Kazakhstani leadership has an intimate understanding of the dynamics on the ground in Ukraine. Moving on! The Prime Minister is the Head of government and is selected by the President. The current Prime Minister is Karim Massimov -- a very experienced statesman who previously served as Minister of Transport and Communications, Deputy Prime Minister, Assistant to the President, Minister of Economy and Budget Planning and Chief of Staff to the President. Massimov speaks fluent Chinese, Russian, Arabic and English. After all, he graduated from Beijing Language and Culture University as well as the Law School of Wuhan University. Colleagues I know who have worked with him say only positive things -- he hosts a monthly meeting with different international investment organizations (such as the EBRD, Islamic Finance Bank, etc.) 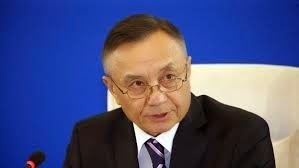 and his personal background in China, rather than in Russia, gives him a unique perspective on the region as well as Kazakhstan's role within it. The two houses of Parliament are the Senate and the Mazhilis. The Senate is comprised of two elected members from each of the fourteen regions in the country, plus two representatives from Almaty city and Astana city, respectively. The President selects fifteen representatives. In total, there are 47 officials in the Senate (14*2=28+4=32, + 15 selected by the President = 47 members). Members of the Senate are elected by the Mazlikhats, or regional governments. Members of the Mazlikhats are directly elected by the people, and work with the Akim (Governor), who is directly appointed by the President. The Mazhilis includes 105 deputies, 98 of which are elected through a party list, proportional representation system. For those who are not political science junkies, this means that the ballot contains a list of candidates who are registered with a party. The voter elects the party and (a) candidate(s) of their choice. Once all of the votes are tallied, each party is notified of their percentage of the vote and candidates are accordingly selected to serve in office based on the amount of seats in the Mazhilis that party is allocated, as well as the amount of votes each candidate receives. While we in the United States do not have such a system, it is quite common in other places -- such as Germany, Austria, Poland, Israel, Finland and New Zealand, among others. Members of the Mazhilis serve five year terms, while members of the Senate serve six year terms. The chairman of the senate is hand-selected by the President, and is current held by Kazymzhomart Tokayev. Tokayev is a really fascinating individual and someone who I, if given the opportunity, would be ecstatic to meet! I read his memoirs, "Preodolenie" ("Overcoming"/"Winning"). For those interested -- it is available in Russian, English and Chinese. Anyways, Tokayev served in the Ministry of Foreign Affairs in the USSR. In his memoirs, he wrote how he was in Moscow in December 1991 when the Parliament of the Kazakh Socialist Republic voted for independence. He was so torn as to whether he should stay in Moscow, or return home and represent Kazakhstan -- which at the time, was still a new country. He ended up pursuing the latter, and has since evolved into one of Kazakhstan's foremost diplomats. He served as the General Secretary of the UN in Geneva between March 2011 and October 2013, when he was called back to serve as Chairman of the Senate. The largest party is the Nur Otan Party, which is Kazakh for "Bright Fatherland." The Nur Otan Party holds 83 out of the 98 directly-elected seats in the Mazhilis, while the Ak Zhol and the Communist People's Party of Kazakhstan (CPPK) hold eight and seven seats, respectively. Now, my dear American readers, do not resort to a Cold War, McCarthy mindset when you see the words "Communist Party." This a natural legacy -- there are communist parties in nearly every country in the former Soviet Union (FSU). Generally throughout the FSU, the Communist Party's constituency continues to shrink as the older population -- its primary demographic base -- ages and dies. In other instances, the Communist Party is losing its attractiveness relative to other parties. The October 2014 Parliamentary elections in Ukraine, for example, was the first time in post-1991 Ukrainian history when not a single member of the Communist party was elected into office. Finally, let me briefly cover the three Presidential candidates. 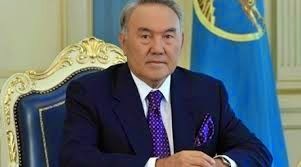 First, there is the incumbent -- President Nursultan Nazarbayev (74), nominated by Nur Otan. The second candidate is Turgun Syzdykov (67), who represents the Communist People's Party of Kazakhstan (CPPK). Syzdykov is from northern Kazakhstan, graduated from the higher school of economics in Moscow, and then served in various positions in the Maslikhat in Northern Kazakhstan and Akmola oblasts. 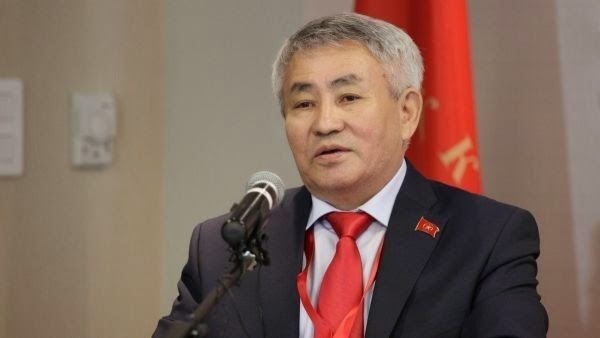 Third, there is the self-nominated Abelgazi Kusainov (67), who currently serves as Chairperson of the Foundation of Trade Unions and is also a member of Nur Otan. Kusainov is originally from Karaganda oblast in Central, Kazakhstan, where he served as Akim until January 2013. From 2009-2011, he was Minister of Transportation and Communications. Well comrades, that's for starters. Next post, I would like to focus on some of the major questions facing the country. After all, that's why elections occur -- to select the leadership that will solve the country's problems.